Join us on the dance floor of history – Learn how to dance Britain’s heritage or come to enjoy watching and help to pass it on. If you love dance and want to safeguard and pass on its earliest forms in the UK and Europe, join us now. You can help us to secure a thriving future for early dance. 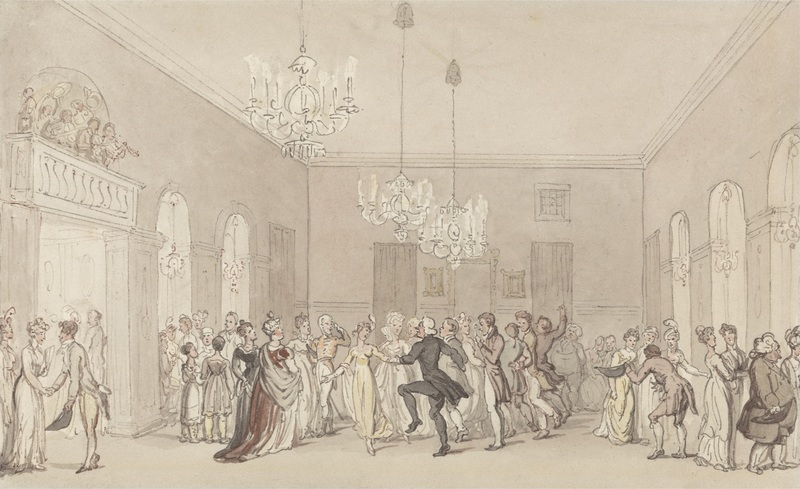 The Early Dance Circle (EDC) is a UK charity that aims to promote the enjoyment, performance and study of historical dance in the UK and beyond. Formed in 1984, it counts individuals and groups, both amateur and professional, among its members. We believe that a knowledge of earlier forms of dance helps enrich the cultural life of the UK, by accessing a heritage of international importance that belongs to us all, but has been until recently largely forgotten. 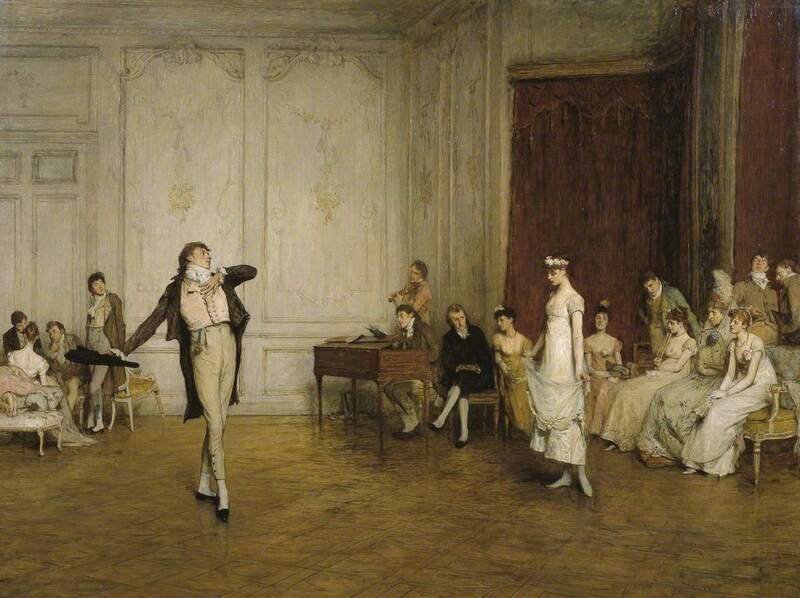 Waltzing, c.1810s. New York Public Library. Our website, Early Dance Circle, offers information about classes & teachers, all our many events (including an Annual Early Dance Festival) our publications and lots of free resources about the 500 years of dance history in the UK and the rest of Europe. We have sponsored a free annual lecture since 1988. Mike will look at dance in the Georgian era from a social history point of view – its importance, what it was like to go to Bath, to the Pantheon, to Almacks, what people wore, how they travelled, the role of the Master of Ceremonies, the growth of Masquerades – and finally some press reaction to the introduction of that grossly immoral and shocking dance, the waltz. Mike is the custodian of a vast array of family papers dating back to the early 1700s. After he retired, he published The Journal of a Georgian Gentleman: The Life and Times of Richard Hall 1729-1801 (2011) about his Georgian ancestor. Currently working on no fewer than three books, Mike is known to 18th Century enthusiasts through his highly varied blogs on life in the Georgian period. He speaks regularly in the UK and abroad. To reserve your free place, please book on Eventbrite (click here). How delightful! I hope there will be videos posted. … What does this mean, exactly? Our guest blog means you are welcome to come along and listen to Mike tell us more about the exciting dance world of Georgian Britain and its social significance. Dancing was a key part of life then. There is no charge. We look forward to seeing you. I would have LOVED to come, but alas, I will be in a plane flying to New Zealand that very day! Will it be on again? I’m sorry but this is a one off event. Next year’s topic will be different, but we hope equally interesting. However, Mike’s text will be available on the Early Dance Circle website quite soon after the lecture. Yes, Sarah is correct about “dancing high”. It means energetic Italian-style dance that required leaving the floor, unlike the English Measures which were rather more sedate. The Galliard and Lavolta are good examples. thanks for confirming that my gut feeling was correct! I wish I could join you, you’ll enjoy yourselves no end. Mike Rendell is a lovely bloke, and a fount of information. What a horder his ancestor was! Excellent idea to hold such an event! I hope the history of Early Dance Circles can be preserved for years to come!